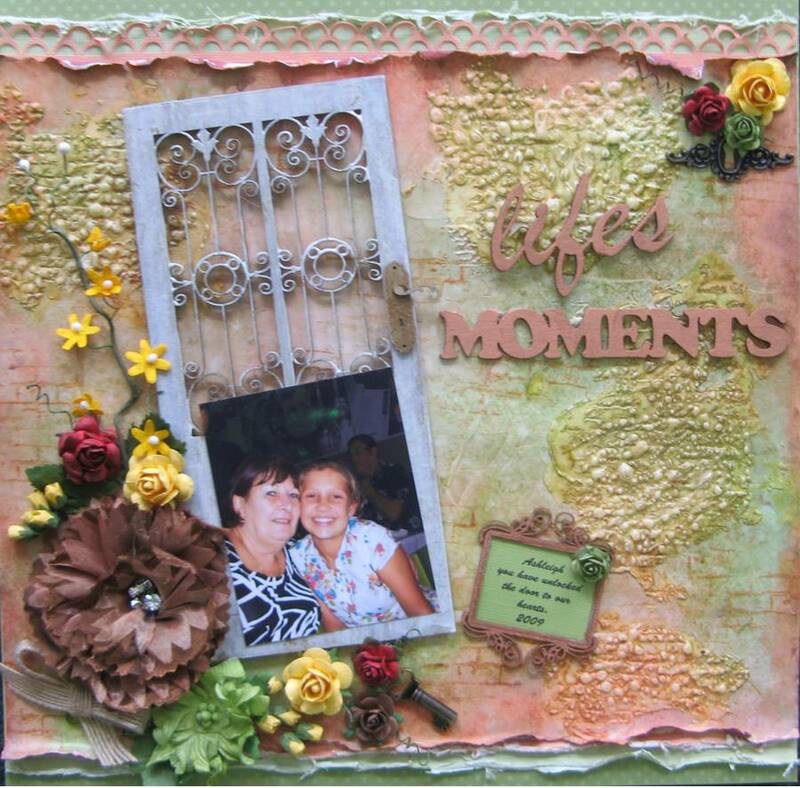 2 Crafty chipboard Word & Mini Frame as well as lots of beautiful Green Tara flowers. Great job Jenny. Thanks for sharing. This looks fabulous Jenny, and I am sure Di would be an excellent teacher!! Fantastic job Jenny...the page looks great. Well done, Jenny, love your page!